This small Showy Crab Apple tree, also known as the Japanese Crab, has green foliage that appears in early spring whilst the crimson flower buds are developing, once open the flowers are white or pale blush, completely covering the tree. The fruits are fairly small, greenish-yellow with a hint of red and last long into the winter. 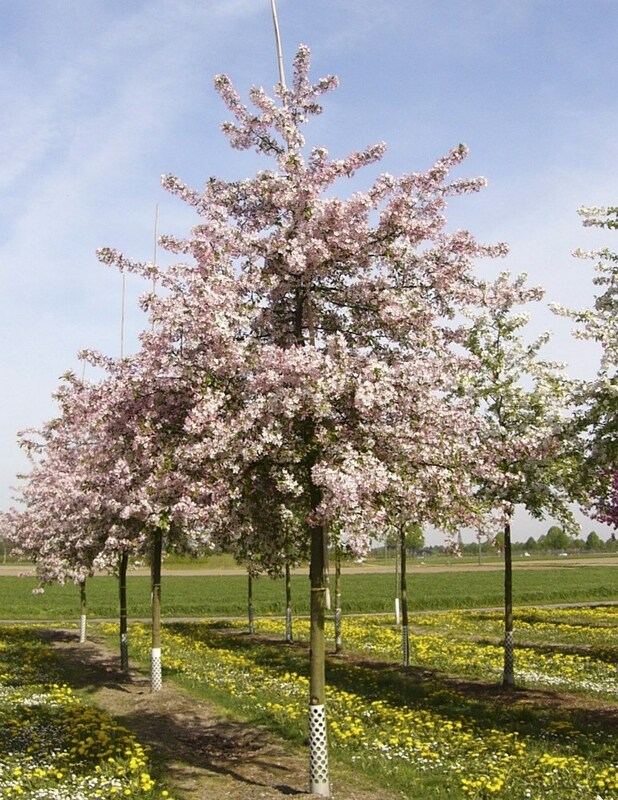 Like most Malus varieties, Malus floribunda will thrive on most soils, doing particularly well on clay.